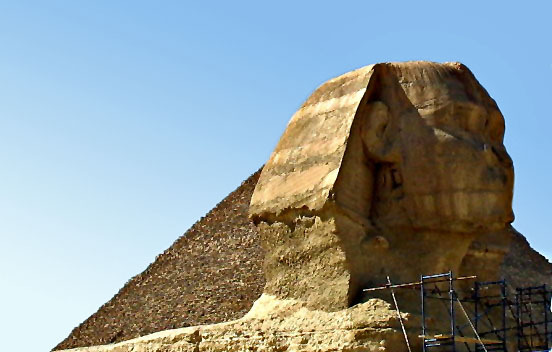 This is a side-view of the Sphinx with the Great Pyramid in the background. 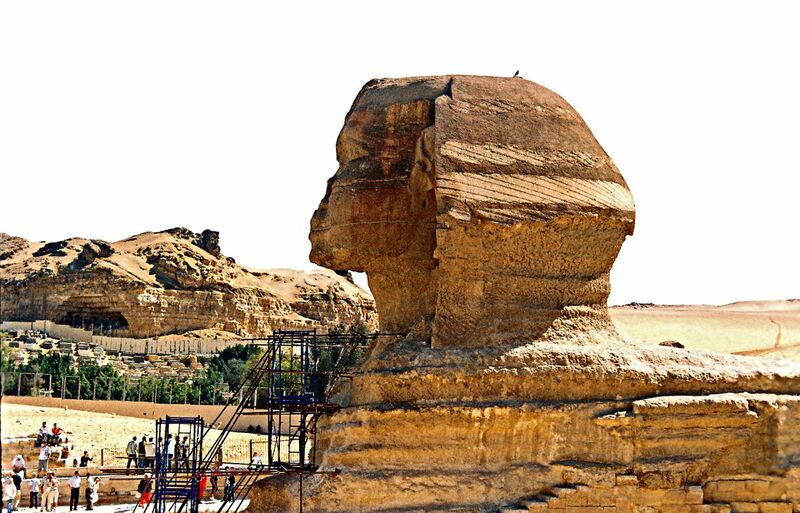 A front view of the Sphinx on a bright and hot day under the scorching desert sun. The figure is under repairs. This is a frontal view of the Great Sphinx. The Pyramid of Khafre (or Chephren) is behind it. 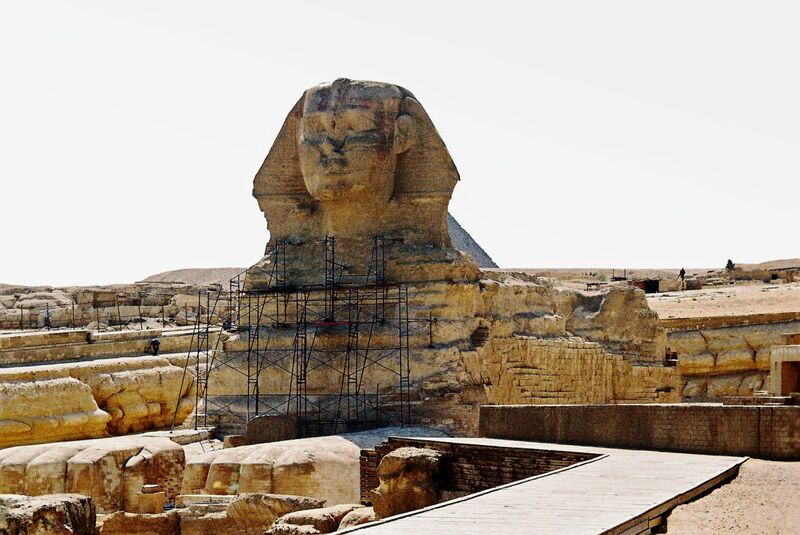 The Sphinx is believed to have the head of Khafre. 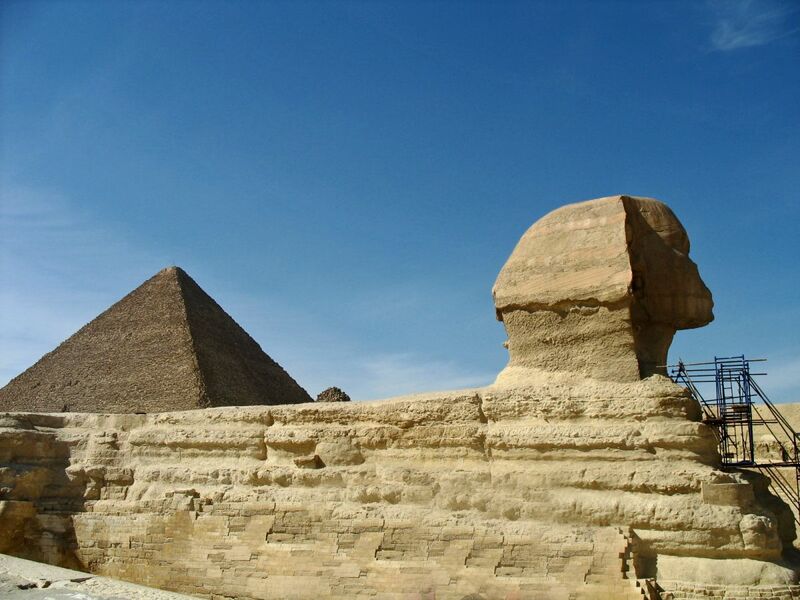 In this picture there is part of the Great Pyramid in the background, and it appears as if the Sphinx has a headdress! A view of the Sphinx from the side, in the bright, almost blinding, desert sun. Tourists are milling about the Sphinx which is under repairs. 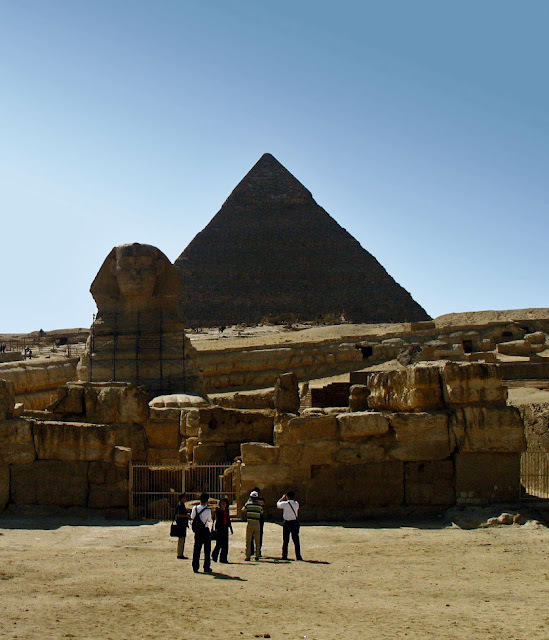 More photos of ancient monuments from Egypt: Three Pyramids of ancient Egypt or the Temple and statues of Queen Hatshepsut of Egypt or Karnak Temple and Pillar Designs or for more related photos try the label "Egypt"